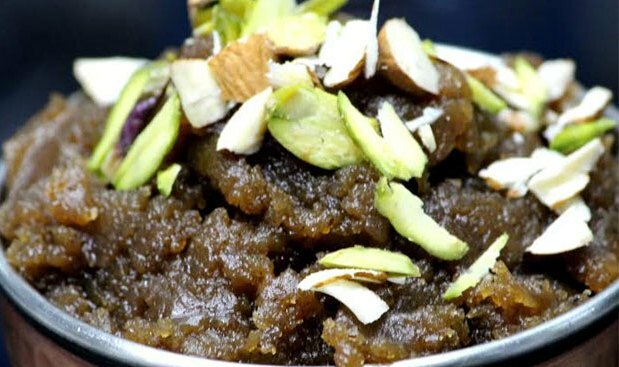 Singhade ka Halwa a festival Indian dessert usually made on Navratri fasting or vrat or any other religious fasting like Ekadashi or Krishna Janmashtami. It is very easy and quick to make. All halwa or sheera making procedure is almost same. Only the difference is some required milk and some required water. Heat the ghee in a pan on medium flame. 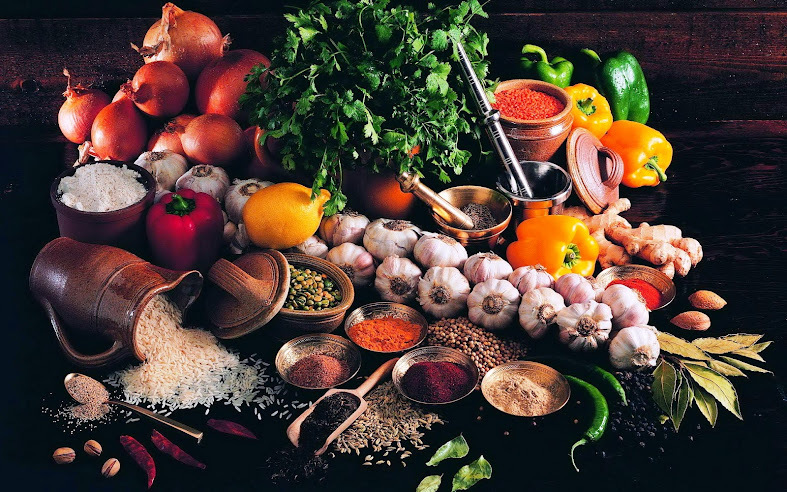 Once hot add the singhade ka atta and mix well. Roast it by stirring continuously till it turns light brown. It will take about -7 min. to turn brown. In another pan put 250 ml of water to boil on another stove. Now add hot water to the mixture and stir as you add to avoid formation of lumps. Once the water is almost absorbed add the sugar. Mix it well. Keep stirring till the sugar melts completely. Keep stirring and cooking till ghee starts coming out of the mixture. Once it is cooked, add cardamom powder and mix it properly. Garnish it with almond and other nuts.